What Are CMCs? - L&L Special Furnace Co, Inc.
CMC stands for Ceramic Matrix Composite, and these materials are considered a subgroup of both ceramics and composite materials. Composite materials are comprised of at least two parts: the reinforcement, which provides special mechanical properties such as stiffness or strength, and the matrix material, which holds everything together. In the case of a ceramic matrix composite, both the reinforcing material (sometimes referred to as refractory fibers) and the matrix material are ceramics. In some instances, the same ceramic material may be used for both the matrix and the fibers, and additional secondary fibers may also be included. The fibers can take many different forms, including the more traditional continuous fiber as well as short fibers, particles, whiskers, and nanofibers. These fibers all have a polycrystalline structure like traditional ceramics possess. The reason you do not see glass, organic, or metallic fibers is because CMC fibers must remain stable at temperatures above 1,800°F. 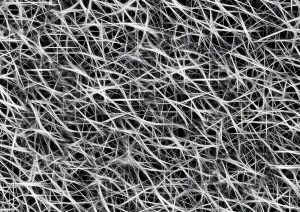 The reinforcing fibers are just a fraction of the thickness of a human hair – and in the case of nanofibers, are even tinier. They are often woven into a fabric or tape-like material for inclusion in a CMC part. In a typical CMC process, the fibers are coated with a material such as boron nitride and then passed through a matrix slurry bath, resulting in a prepreg tape or cloth. The majority of current CMC applications use short fiber, whisker, or continuous fiber reinforcement. The use of whiskers and short fibers improves the CMC’s resistance to crack propagation and its overall toughness but can result in catastrophic failure. Long, or continuous, fiber reinforcement provides better strengthening than whiskers or short fibers. The use of long fibers also results in better toughness because the fibers can hold the CMC together even after the ceramic matrix has begun to crack, significantly slowing down crack propagation. The list of typical matrix materials in a CMC would be the same as the fiber materials listed above, along with non-oxide ultra-high-temperature (UHT) ceramics used only in special applications. For producing the prepreg tape just discussed above, the fibers would be passed through a slurry bath of binders, solvents, and the matrix material being used (e.g, carbon or silicon carbide). The various layers of prepreg tape are laid up and shaped to form the final part. In most cases, the part then goes through pyrolysis to convert the matrix material to a ceramic, which will be discussed in more detail further on. You may see CMC naming conventions that include the manufacturing process, such as LPI-C/SiC. 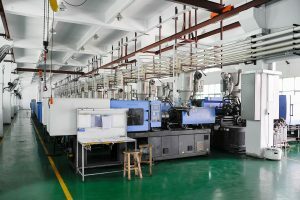 LPI stands for liquid polymer infiltration (or polymer infiltration and pyrolysis), LSI stands for liquid silicon infiltration, CVI stands for chemical vapor infiltration, and CVD stands for chemical vapor deposition. The list of uses is growing quickly, too. CMC components are used in energy and power, defense, aerospace, electrical, and electronics industries, just to name a few. Ceramic matrix composites behave much differently from conventional ceramics, and are far different from the high-performance metal alloys that used to be implemented. Like ceramics, they are hard and stable at higher temperatures. But they are also very lightweight (one-third the weight of the nickel superalloys they often replace) and possess significantly greater fracture toughness and thermal shock resistance. CMCs are able to retain a relatively high mechanical strength even at very elevated temperatures. They offer excellent stiffness and very good stability, both mechanical, thermal, dimensional, and chemical. The elongation to rupture of ceramic matrix composites can be up to 1%, and they are not susceptible to fracture like traditional ceramic materials. Their resistance to crack propagation is directly related to the reinforcing fibers, which can span a crack in the matrix and prevent it from growing. When undergoing tensile tests, the behavior of CMCs resembles that of a plastic material because of a nonlinear stress-strain relationship that is exhibited. This behavior is referred to as ‘quasiplastic’ and is caused by microcracks that form in the matrix and are then bridged by the reinforcing fibers. The compressive strength of CMCs is less than that of a traditional ceramic, however, and this is due to the porosity of the matrix material. On the plus side, they have high corrosion resistance even at elevated temperatures and can handle dynamic loadings very well. Ceramic matrix composites are also anisotropic (and sometimes orthotropic), with properties strongest along the length of the fibers. This allows them to be tailored to a specific application’s needs. However, delamination can be an issue and their interlaminar shear strength can be relatively low. The main features that make CMCs stand out are the fact that they are ultra-lightweight, extremely durable, and can perform at extreme temperatures. There are indirect benefits to the use of CMCs, as well. Because they are so lightweight, they can lead to much better fuel efficiency and, in turn, less pollution. The fact that they can operate at such high temperatures can reduce cooling requirements in some applications. 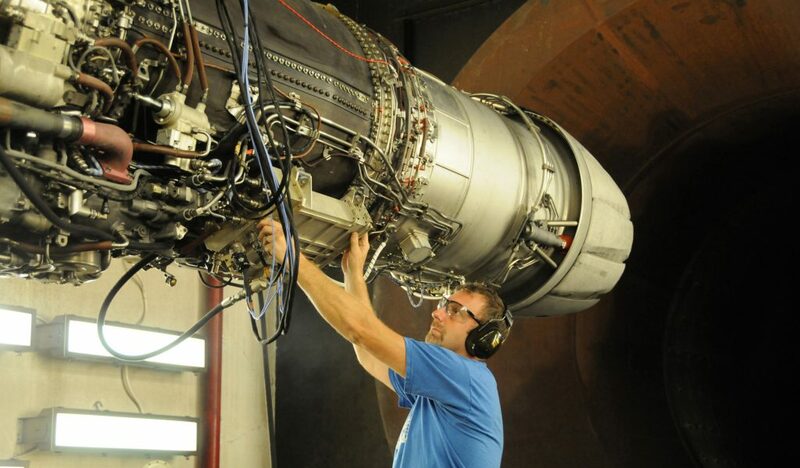 The reduction in cooling requirements means that components can operate more efficiently in applications such as jet engines. When used in power turbines, CMCs can also lower the costs of electricity. How Are Ceramic Matrix Composites Made? The main processes for fabricating CMCs include chemical vapor or liquid phase infiltration, polymer infiltration and pyrolysis (PIP), and hot press sintering techniques. However, the most common method is PIP. In PIP, the ceramic matrix is formed from a fluid that is infiltrated into the fiber reinforcement. Pyrolysis is defined as a thermal decomposition of an organic (carbon-containing) substance. This decomposition is brought about at high temperatures in the presence of an inert atmosphere and usually takes place in the absence of oxygen. In the context of CMC, pyrolysis causes the substance to decompose into a ceramic and takes place in an argon, nitrogen, or ammonia atmosphere (depending in part on the type of ceramic matrix being used). Various products are released during pyrolysis, some of which are volatile. These products may include CO, H2, CH2, H20, and CO2. Pyrolysis is preferred over sintering and hot processing. Both sintering and hot pressing can result in high porosity, mechanical damage to the fibers, and fiber degradation as chemical reactions occur at the interface between the fibers and the matrix. What Happens in the Pyrolysis Process? In the polymer infiltration and pyrolysis process, a low-viscosity polymer is infiltrated into a fabric (e.g., woven or tape) made from the ceramic reinforcing material. The infiltrated reinforcement material is then placed in an inert, oxygen-free atmosphere and heated. As it is heated, the polymer thermally decomposes into a ceramic. The resulting CMC is called a polymer-derived ceramic. The process is also known as liquid polymer infiltration, or LPI. Only preceramic polymers, also known as polymer precursors, can be used as the infusing polymer in PIP. Preceramic polymers are special in that pyrolysis can convert them into ceramics. They usually contain carbon or silicon, but may also include elements such as boron, aluminum, oxygen, titanium, and nitrogen. The matrix material used in PIP is most often silicon carbide or carbon. For carbon matrices, carbon thermosetting resins (e.g., phenolic or polyvinyl alcohol) or thermoplastic resins (e.g., pitch or coal tar) are used. Stage #1: Prepreg fabrication. In this stage, the reinforcing ceramic fibers (aka, fabric) are impregnated with a resin. The resin is either dried or partially cured. A material is usually applied to the fibers to weaken interfacial bonding between the fibers and the matrix later on to increase fiber pullout and crack strength. Note that the fibers may be continuous, non-continuous, or woven into a fabric. Stage #2: Lay-up. Lay-up refers to layering the prepreg material. Multiple layers are almost always required, and the order in which layers of different orientation are stacked controls the properties of the final CMC. Stage #3: Molding. In this step, the prepreg lay-up is molded into the desired shape and will look almost identical in shape to the final part or component. Stage #4: Polymer infiltration. During infiltration, the pores in the molded prepreg are filled with a preceramic polymer of low viscosity. The polymer is forced into the pores through capillary forces and can typically be achieved at normal pressure. Vacuum pressure or positive pressure may be used in some cases, however. Stage #5: Pyrolysis. Temperatures in the range of 1,472°F to 2,372°F are used to achieve successful pyrolytic decomposition. If the matrix material is a nitride, then N2 or NH3 is used for the atmosphere; otherwise, Ar is used. This requires the use of an atmosphere-controlled furnace that can achieve uniform heating throughout and has excellent temperature control. Stage #6: Re-infiltration and pyrolysis. Depending on the porosity of the ceramic matrix after initial pyrolysis, Stages #4 and #5 may need to be repeated between 4 to 10 times. Note that the PIP process is primarily used with silicon carbide or carbon matrices. In some instances, combinations of these processes may be used. Let’s talk about the positive aspects of pyrolysis. First, net shape parts can be fabricated, which means minimal waste. Because the pyrolytic temperature is less than that for sintering, fiber damage can be prevented. The process supports the use of different forms of reinforcing fibers, such as particulate, continuous, and whiskered. In addition, the pyrolysis process provides good control of the microstructure and matrix composition, resulting in a high-quality component. Now for the drawbacks of PIP. The production cost is going to be higher and the fabrication time is going to be longer, mainly because of the need to repeat the infiltration and pyrolysis stages to reduce porosity to acceptable levels. The other potential issue with using pyrolysis is the risk of porosity that can compromise the mechanical properties of the final CMC. Why Are L&L’s Furnaces Superior for CMCs? 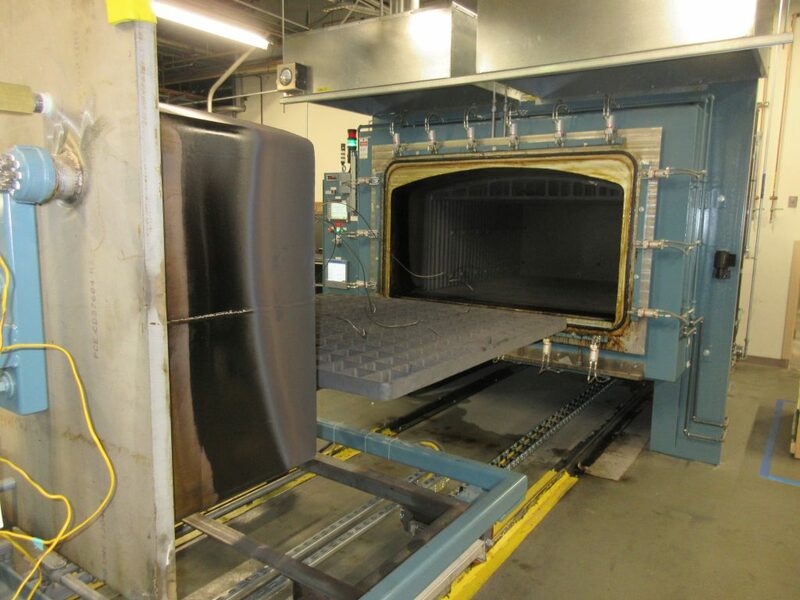 As the demand for ceramic matrix composite materials grows, so does the demand for pyrolytic furnaces – and L&L Special Furnace Co. (L&L) is ready to meet that need. Our furnaces are designed to achieve outstanding thermal uniformity. They are outfitted with state-of-the-art control systems. L&L furnaces are known for achieving highly repeatable processes with excellent reliability (which reduces emergency shutdowns) and extremely accurate temperature control. Atmospheric retort furnaces, like those in our electric-powered XLC series, are ideal as pyrolytic furnaces. In fact, any process that cannot tolerate the presence of oxygen or requires an extremely stable atmosphere is a perfect candidate for this furnace. Their design combines process quality and control along with operator safety. In addition, the control system, alloy retort and flow system are completely integrated as one unified array. Stay tuned for followup articles regarding the value additive process as well as powdered metal processing as we dig deeper into the functions of ceramic matrix composites. 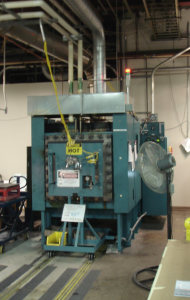 At L&L, we have been in the heat treatment furnace business for decades. Not only do we take pride in the precise temperature control and uniformity of our industrial furnaces, but also their reliability and ease of maintenance. Quality, durability, and precision are built into our industrial furnaces as we consider our customer’s requirements all the way through the life of the furnace. 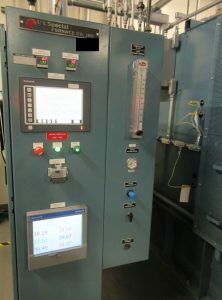 Our experienced specialists can help you customize a furnace to fit your specific CMC production needs and we can provide the training and instruction required for you to get the most out of your furnace. No matter what your thermal job may be, L&L has a furnace for you! Contact L&L today to discuss your thermal needs.